Morton Schapiro speaks at an event. On Tuesday, Schapiro told The Daily that the nature of the comments he made about critics of microaggressions and trigger warnings earlier this year was a mistake. University President Morton Schapiro said the nature of his comments criticizing opponents of trigger warnings and microaggressions during his convocation speech in September were a mistake. In a Washington Post op-ed published last month, David Bernstein, a professor at the Antonin Scalia Law School, said Schapiro “utterly failed to meet even the minimum standards of appropriate discourse” in his convocation speech. Schapiro noted that he did not prepare remarks for this particular speech. He said unlike many university presidents, he does not rely on speech writers. His comments about people who decry safe spaces were not the “main thrust” of his speech, he said. His main point was to emphasize that everyone has safe spaces, Schapiro said. He said his synagogue is a safe space for him, noting that he hasn’t missed Shabbat in more than a year. Schapiro also considers the Institute for Policy Research and golf courses to be safe spaces for him, he said. “It’s inconceivable to me that anyone … could ever look at their past and say that they weren’t deeply damaged by when they thought they were in a comfortable group and among supportive people, and all of a sudden said something that just … is devastating to them,” Schapiro said. However, Schapiro said he does not consider classrooms to be safe spaces. Classes should allow students to learn new things and may make them uncomfortable, but that viewpoint is not at odds with one that recognizes the need for spaces such as the Black House, Sheil Catholic Center and Hillel, Schapiro said. Before he wrote an op-ed on safe spaces in the Washington Post, Schapiro said he spoke to a student at Norris University Center who helped change his perspective on what a safe space is. 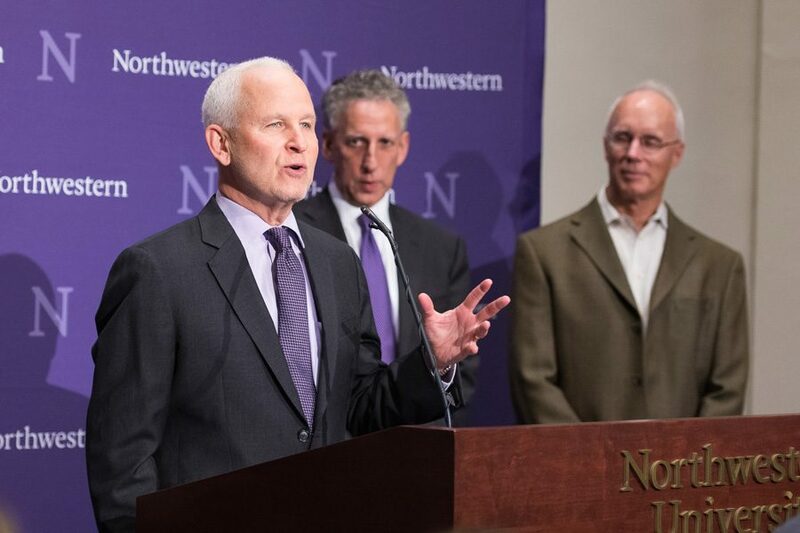 Schapiro, who said he has written more than 20 op-eds since he became Northwestern’s president, said he believes he has a more expansive public record of his opinions than many other college presidents. However, he said he didn’t always grasp the importance of safe spaces.